According to law, a nursing home facility is required to ensure that the residential environment remains free of any danger or accident hazard that could pose a risk to any resident. In addition, the resident must receive adequate supervision and any physician-approved assistance device known to prevent an accident. Sadly, the East Peoria nursing home abuse attorneys at Rosenfeld Injury Lawyers LLC have handled many cases were residents have suffered serious injuries or death by the negligence or abuse of their caregivers. Our attorneys work as legal advocates for every Illinois nursing home resident in an effort to protect their health, well-being, rights and dignity. We post updated publicly available information outlining current filed complaints, opened investigations and safety concerns at nursing facilities statewide. This information serves as an invaluable tool to help family members choose the best nursing facility that provides quality care to meet every resident’s health and hygiene needs. The health care center provides a variety of medical solutions involving skilled nursing care, supportive living, assisted living, rehabilitation and memory care including Alzheimer’s disease and dementia. The federal government, through www.Medicare.gov posts the most recent updated star rating summaries on every nursing facility, assisted living home and healthcare center in the United States. 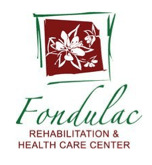 Currently, Fondulac Rehabilitation & Health Care Center maintains a much below average one out of five stars compared to other facilities nationwide. This includes a one out of five stars for quality measures, two out of five stars for health inspections and three out of five stars for staffing. if you, or your loved one have suffered serious injuries in an accident while residing in any nursing facility in Illinois, including Fondulac Rehabilitation and Health Care Center, Rosenfeld Injury Lawyers LLC can provide immediate legal assistance. Our experienced East Peoria nursing home abuse attorney can take legal steps to stop the abuse now. Schedule your free, no obligation confidential consultation with our attorneys today at (888) 424-5757 or through our online chat rooms. We accept all personal injury, nursing home abuse and medical malpractice cases seeking financial compensation on a contingency fee basis. This means we provide immediate legal representation, advice and counsel without the need of any upfront fee.